Everyone knows that strength training (working with free weights, machines, resistance bands, etc.) is a great way to build and maintain muscle and strength. What many people may not know about, however, is all of the other benefits that are associated with a strength training routine. Today’s strength training workouts offer a ton of benefits that go well-beyond looking like a bodybuilder. 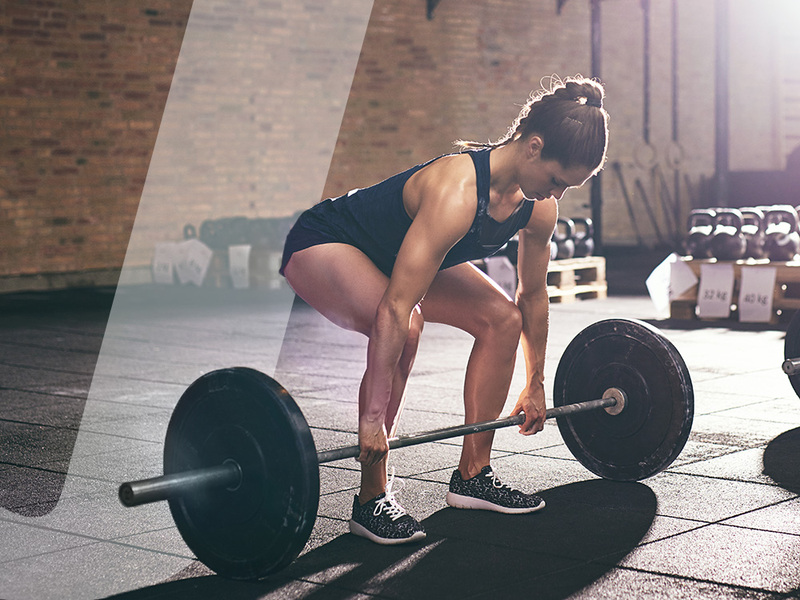 Everything from better sleep to less stress to more energy can be attributed to weight training. Let’s dig in and share some of the many ways you can benefit from hitting the weights…. One of the best ways you can control bone loss as you age is to add strength training into your workout plan. Age related changes, inactivity and inadequate nutrition all contribute to a decrease in bone mass. As this happens, bones become more fragile and susceptible to fractures. Strength training puts stress (in a good way) on your body that results in stronger, denser bones. By increasing the amount of muscle on your body, you’ll have an increased metabolism that allows you to burn fat while at rest. Muscle uses food and nutrients, making it a gigantic calorie burner. The more muscle you have, the more calories you will burn without even moving. You don’t have to exclusively rely on a treadmill, bike or elliptical to get your cardiovascular workout in. Resistance training can be a great way to get your heart rate up. As you lift, your body gets better at transporting oxygen. Your heart then adapts and gets stronger and stronger. Circuits, HIIT workouts, super-sets, minimal rest between exercises, etc. are all great ways to add a cardio component into your strength routine. When you look better, you feel better! Strength training will improve those “mirror muscles” and give your perceived body image a big boost. It also is a great way to release feel-good endorphins to give your mood a boost and keep anxiety at bay. Don’t underestimate what the psychological benefits of looking and feeling better can do! While exercise in general has proven itself in leading to a better night’s sleep, weight training in particular can be a great way to assuring some solid zzzzz’s. Your body uses this time to rebuild and repair, so hit the weights and get your 8 hours in! Hitting the books might not be the only way to give your brain a boost. Any exercise will help keep your brain healthy, but researchers found that resistance training resulted in beneficial cognitive function, especially in older adults.